Yuta Suzuki Gt. & Vo. / Kensuke Ito Dr. / Tsuguhito Konno Ba. A trio from the Kanto area. The band started in 2006 when the two high school classmates, Suzuki (Gt. / Vo.) and Ito (Dr.) met Konno at the music school they both attended. After the release of 2 self-produced works, their works caught the attention of Sony Music, and on September 9th, 2009, debuted with the single “Slow Down” from Ki/oon Sony Records. The 2nd single “Light Infection” which was released in December of the same year became popular through its insertion as the opening theme song of the TV TOKYO animation “Gintama”. In May 2010, they collaborated with Mummy-D (RHYMESTER) for their 3rd single “Distort, and in July 2010, released their 1st album “Perspective”. They received critical acclaim for their musicality and virtuosity. In May 2011, released their 1st EP “Hanataba”, and in August, released “Balance Doll” which became the 2nd song to be inserted for the animation “Gintama”. This time, it was used as the ending theme song. In September, appeared at the “Gintama Matsuri” which took place in Ryogoku Kokugikan. 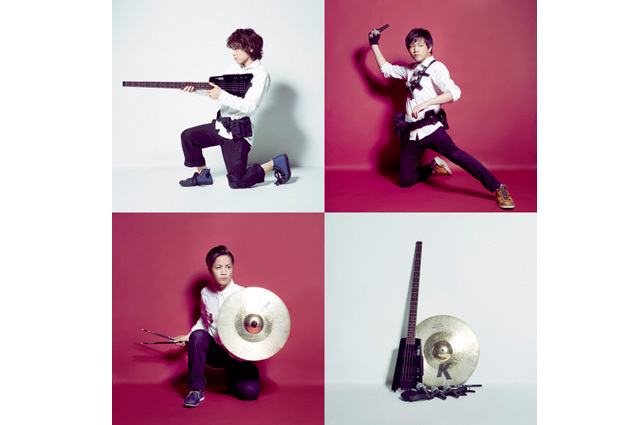 On October 26th, released their 2nd album “Akegata no Metaphor”, and began their 1st national tour, “Prague 1st TOUR”, which became a big success. In August 2012, carried out their Kanto tour, “Prague Tokyo Circuit 2012”. On January 31st, 2012, they will be doing a solo live performance “Prague no Haru” at Shibuya QUATTRO.